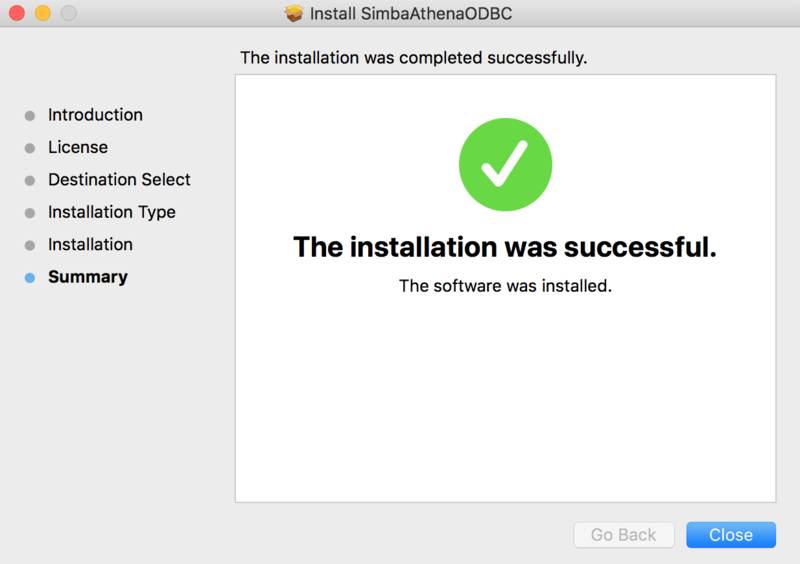 In this blog post, I'll walk you through a way to connect to your Amazon Athena with Exploratory using ODBC. Make sure to assing below permissions. 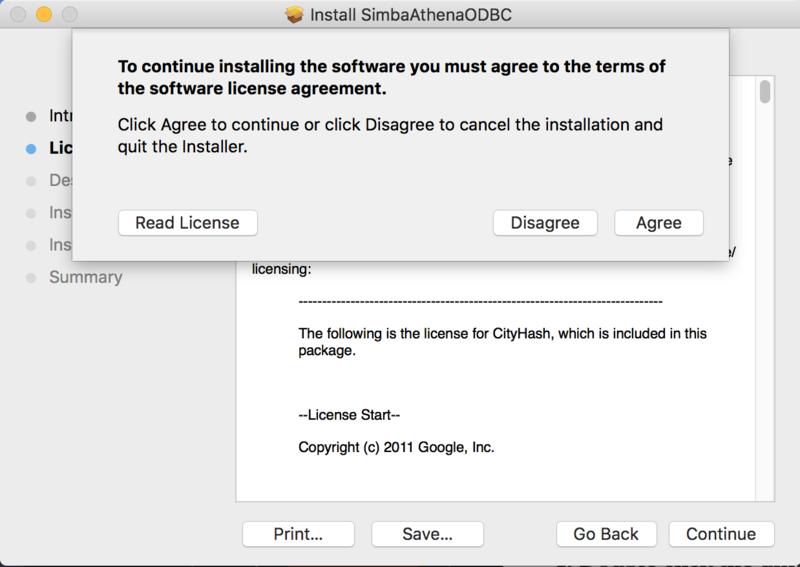 Below is an example for MacOS. 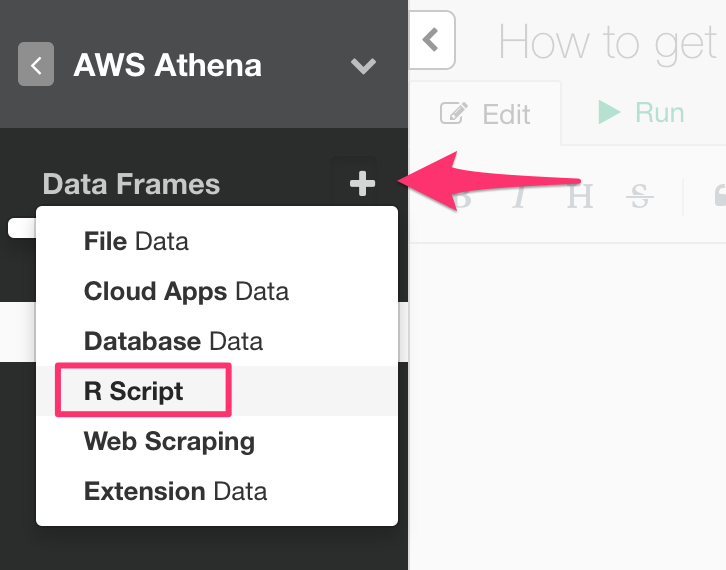 Click R Packages menu on Project List Page and select Install tab. 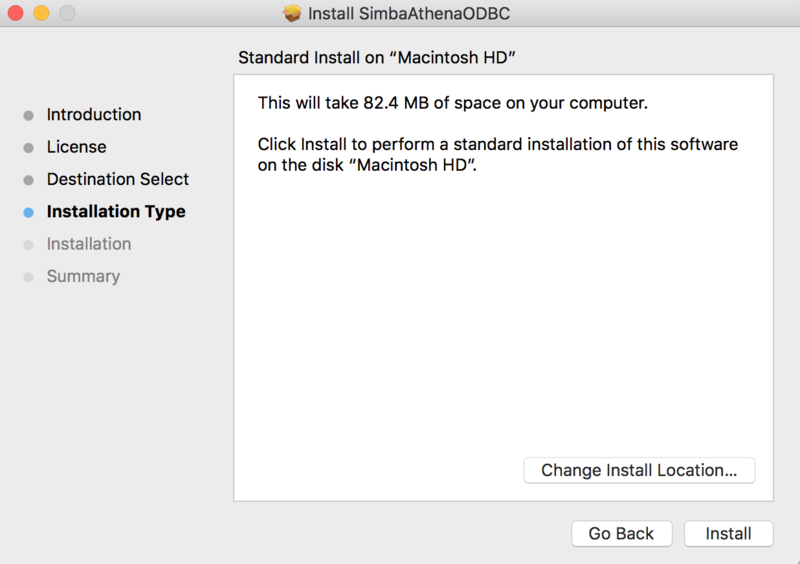 Then type in odbc and click Install. And type in followings to script editor. There are couples of parameters that you need to pass to get a connection. 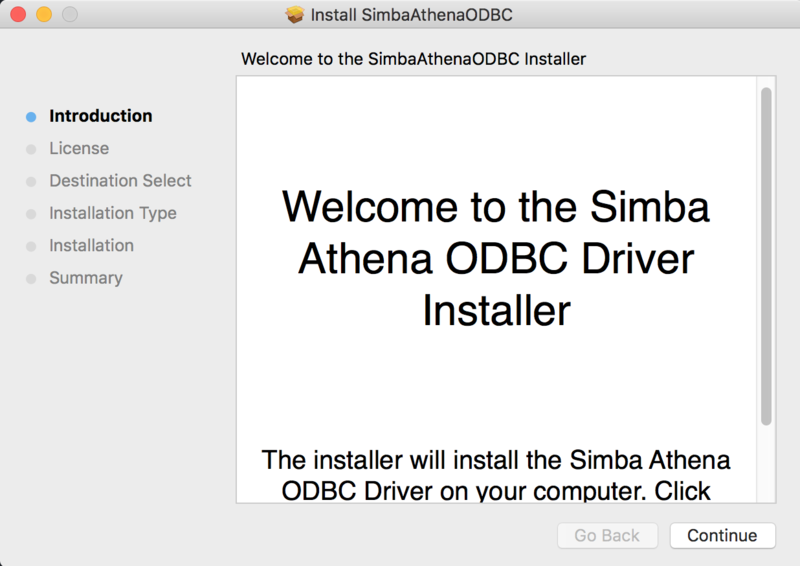 On Mac, by default, your Amazon Amazon Athena ODBC Driver is installed to following location. 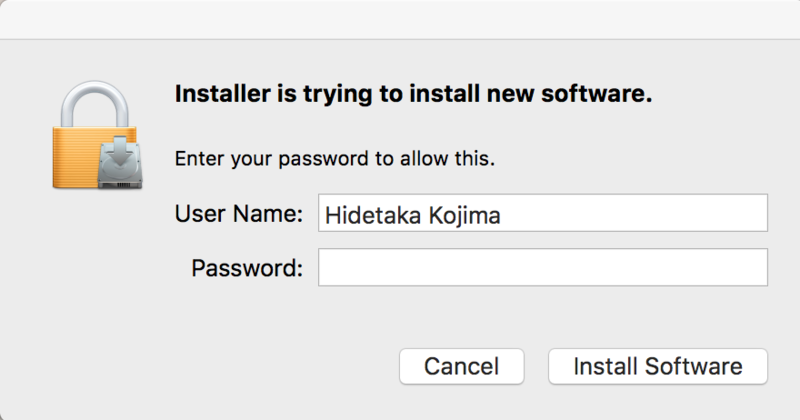 But if you installed it to another location, please change it accordingly. 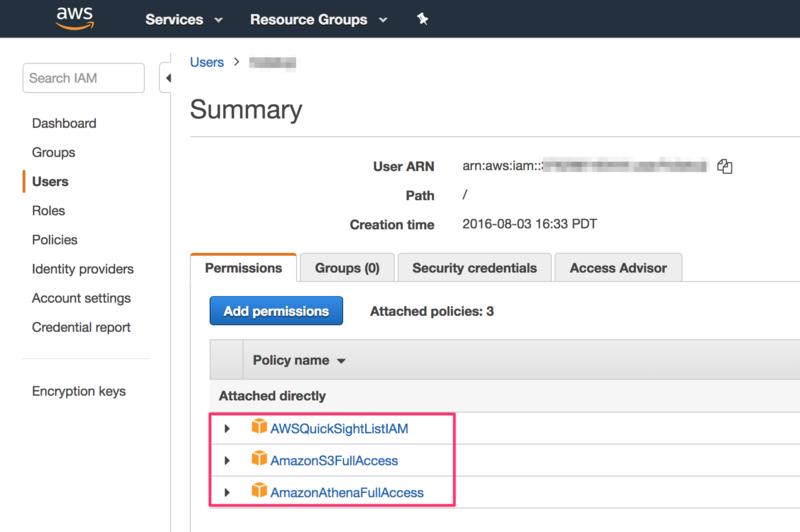 Since we use IAM Credential for this example, you need to pass your aws access key id. 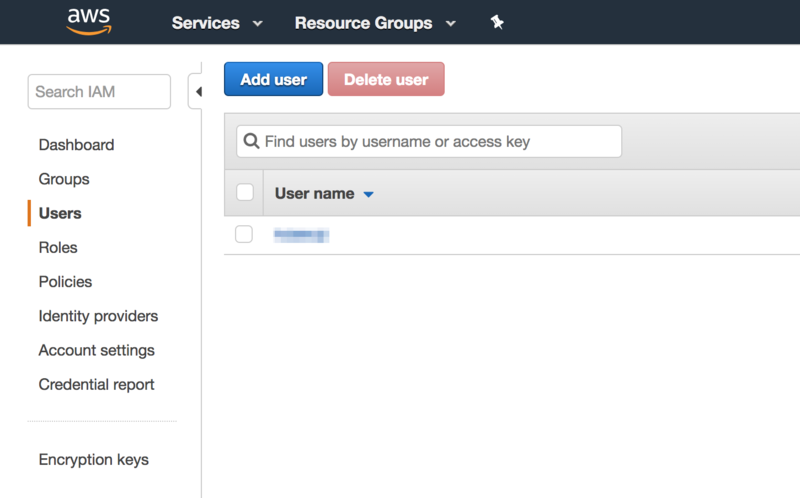 Since we use IAM Credential for this example, you need to pass your secret access key. 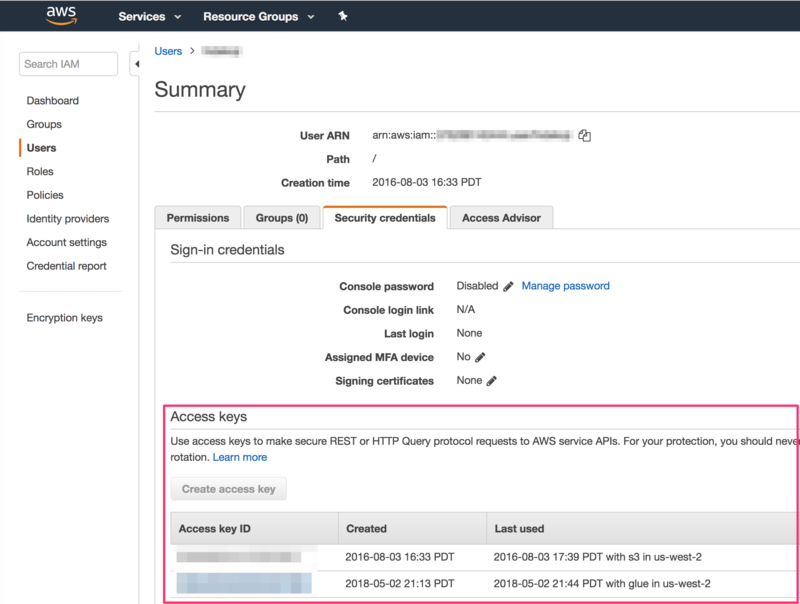 For your Access key ID and secret, you can get it from AWS IAM Management Console. 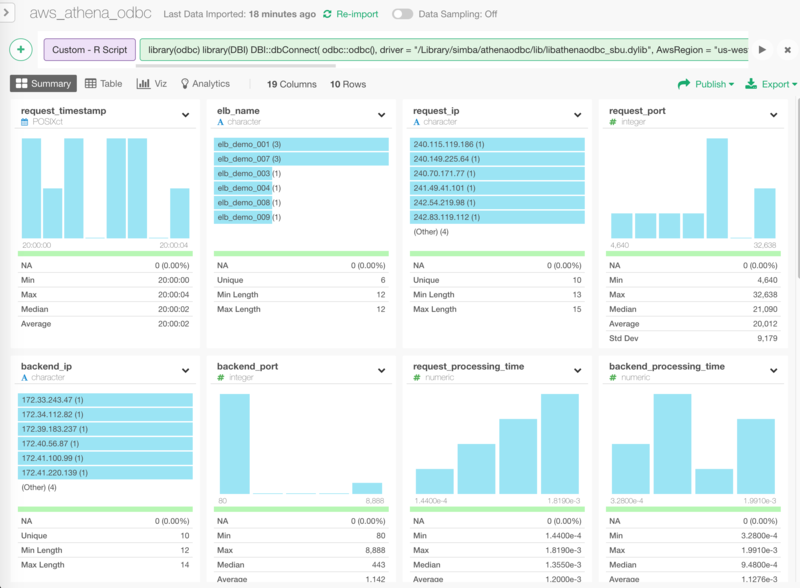 Once a connection is retrieved, you can write a SQL query. 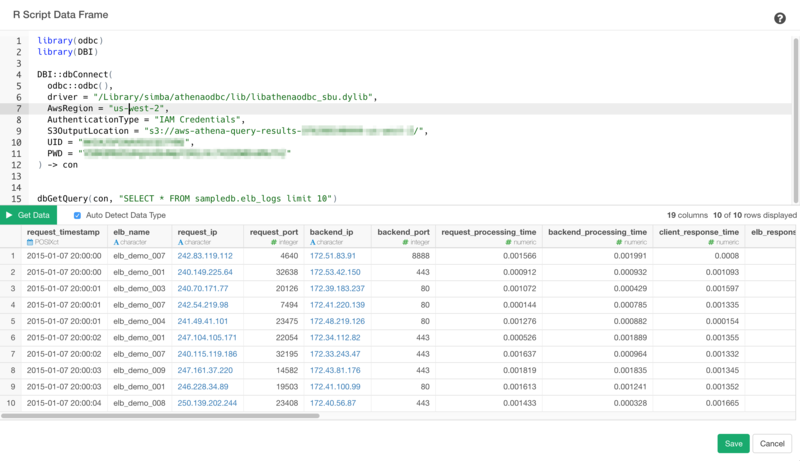 In this example, it queries from a elb_logs table of sampledb database. Once it's imported by clicking Save button, you can start analyzing the data!